Pickapeppa Original Hot Sauce The Pickapeppa Company Limited was established in 1921. Over the years it has won a number of awards both nationally and internationally to attest to its high quality and consistency of flavor. Pickapeppa products are aged in oak barrels for a minimum of one year. They contain only the finest tropical fruits and spices from all over the world. Ingredients: Tomatoes, Onions, Sugar, Cane Vinegar, Mangoes, Raisins, Garlic, Salt, Peppers, Thyme, and Cloves. Manufactured by The Pickapeppa Co. This one is similar to worchestire sauce in a way... I hear Rihanna has a bottle in her purse? A good sauce anyways.. more people should try it! A mix of tropical fruits and spices. Primo juice! My mother-in-law was very happy to get some of her favourite hot sauces. It is hard to get where she lives. 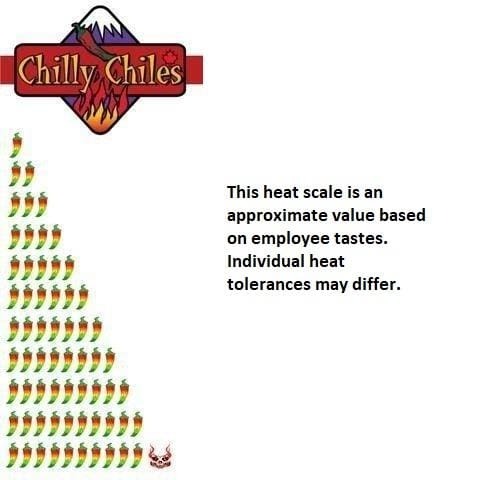 Chilly Chilies, has such a great selection of good quality products, from all over the world. I have used Pickapeppa for many years and can't cook properly without it, so it goes without saying that I applaud the product. The most important part is that Chilly Chiles sends me the freshest bottles possible, even more current stock than stores which specialize in Caribbean sauce.